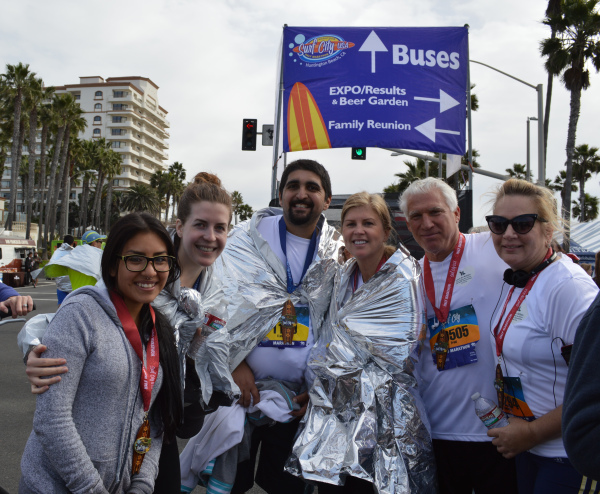 When I first committed to participate in the Surf City Half Marathon to raise funds for YoungLives, I thought, I will try to run most of it and then walk the rest – whatever the rest would be. After all it was a great cause, and if I was on the streets for hours and hours, so be it. So the training began. 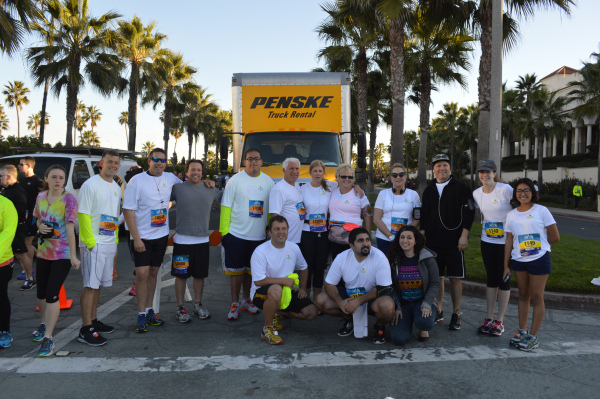 A group of us began running every Saturday morning on the boardwalk in Huntington Beach. It was our weekly “long run.” And even though my husband Fred and I ran during the week together, I really looked forward to running on Saturday. I was excited to see what this 49 year old body could do and the opportunity to hang out with good friends. Soon the miles began adding up and I thought, wow, if I can build this quickly, I think there’s a chance I can run the whole 13.1 miles without stopping. And stopping to me, meant no walking. This was a personal challenge, I mean after all, I put it out there on Facebook and had all my friends cheering me on – some financially, some emotionally and I was content with either one. Race day came and our small group met up to pray and cheer each other on. We stayed together for the most part except for the young and super athletic who blew past us right from the start. I got reenergized every time I saw a fellow Younglives runner with our specially made shirts. Slow and easy I told myself. I felt pretty good except for the last 4 miles which is when we turned around on PCH and the wind was blowing pretty hard against our bodies. There were times I wanted to stop. At one point my husband could see how difficult it was becoming for me, so he started running in front of me to block the wind. I wanted to stop but I told myself I would not, could not. I tried to keep my mind off the run by listening to my music, and thinking. Thinking about the YoungLives Moms and how hard their lives are at times, and for some, its hard all the time just like this race. No, I will not stop. I won’t stop for them and I won’t stop for me. I kept thinking, I got this, I got this. Then, I began praying to the Lord over and over again, please let me finish this. I will never forget running the race that day. It was a victory for our human spirits and whatever personal challenges we made to ourselves. We pushed ourselves farther than we would have because we were doing it for something bigger than ourselves. Just like the teen moms who raise their kids. Putting something or someone before self. I remember throughout my training, sometimes I would get confident and say oh next week I’m going to run two miles more. Then, I would stop and listen to that quiet voice that would gently remind me of the scriptures I had read on November 20th in my 365 day bible. James 4:14-15, (14)“How do you know what your life will be like tomorrow? Your life is like the morning fog – it’s here a little while, then it’s gone. (15) What you ought to say is, “If the Lord wants us to, we will live and do this or that.” Then I would say, yes God. If it is your will God. Suddenly the impossible becomes possible because with God all things are possible.